My advice for cat furniture is to invest in trees and scratchers that are well constructed, built to last, easy to clean and looks like the design knows something about cats. Note that I didn't say anything about being pretty. 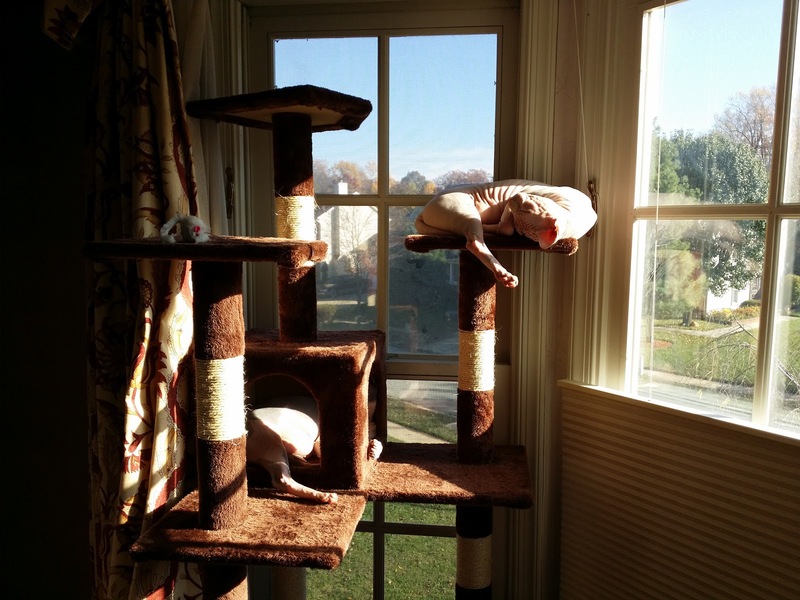 Cat trees and scratchers; are they necessary? Well, think of it this way. Your cat is going to scratch up stuff and if they are able, climb over all your things looking for the high ground. It’s what they do; not out of malice but out of instinct. Whether they do this on just your stuff or primarily on theirs, which of course is moot because your stuff IS their stuff, we as owners can do more to encourage those instinctive behaviors on specific items made for this activity. So I made a decision that if I was going to keep cats I had to think about what enriches their environment more than what matches my decor. I have not always been a tree or scratcher fan. First, they are ugly, the colors, the carpet...damn. Second, they just get uglier with use, frayed, ripped carpet. Third, they smell. After vomit and poop accidents and dander buildup, they do start to stink. If you can't smell it or you think your cats don't smell, you are lying to yourself. You may need to watch that Febreze commercial. You do stink and your friends are talking about you, regardless of what they tell you to your face. Lastly, I have allergies and all of the above wreak havoc on my sinuses. I thought I could remedy this by purchasing wooden trees with replaceable pads (I owned a Lotus when they first came out). 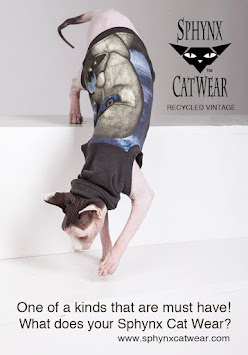 They are stylish, great for lounging and clean up well, but for my cats, not very play friendly. If your cats are like mine, they RUN up the trees and PULL at scratchers, and for my first wooden tree, getting replaceable pads was a pain. My second strategy was to buy cheap and often; get the cheapest stuff and just replace it more often. This thing I got for $35 on eBay. The drawback is that it's faux velvet fabric on press-board. It's not very stable and has been difficult for claws to grab on to...and it's ugly. It has started to come apart while trying to clean it. Guess I got my money's worth. Wades has been making cat furniture for decades. Striking the right balance of superior construction materials, great design and ease of cleaning, Wades trees and scratchers are made to last. My cats can be as rough as they want, it will hold up to the use. The honey-comb surface makes for better nail care and no odor problems. 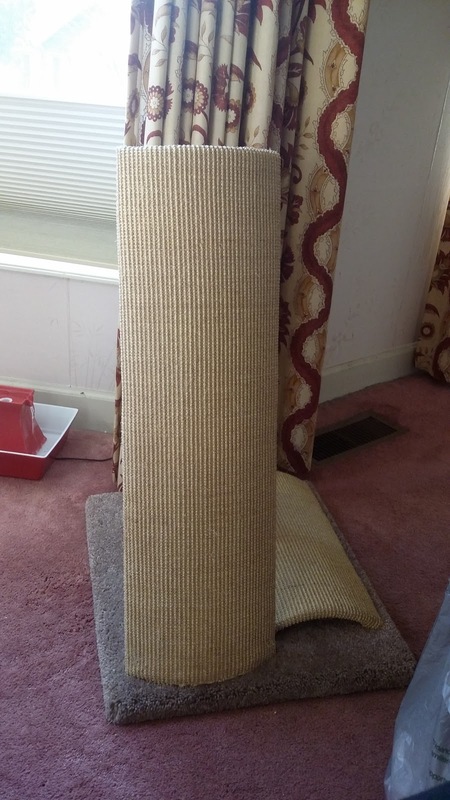 The carpet is a looped, thick pile and does not fray easily. The under base is pressure treated wood, not chemically infused. If the landings on the trees do wear out you can have them replaced (purchase by the piece). Carpet and honey comb tolerate steam cleaning. A non-toxic cleanser might be needed for big accidents, but Wades carpet is stain resistant. 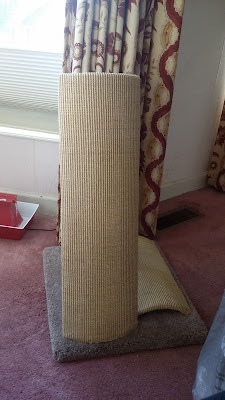 I've not heard of any reports of cats or people having an allergic reaction to the carpet, but if you have questions I'm sure they can send you a carpet sample and you can determine if you or your pets have a reaction to it. Wades are not cheap, in any way. I too being a budget person blinks at the price tag and had to think twice about this as a purchase. I paid big bucks for the wooden stuff that didn't work well for us, so I just didn't want to waste more money. I'm finding however that Wades functionality and durability has made the expense worth the price. 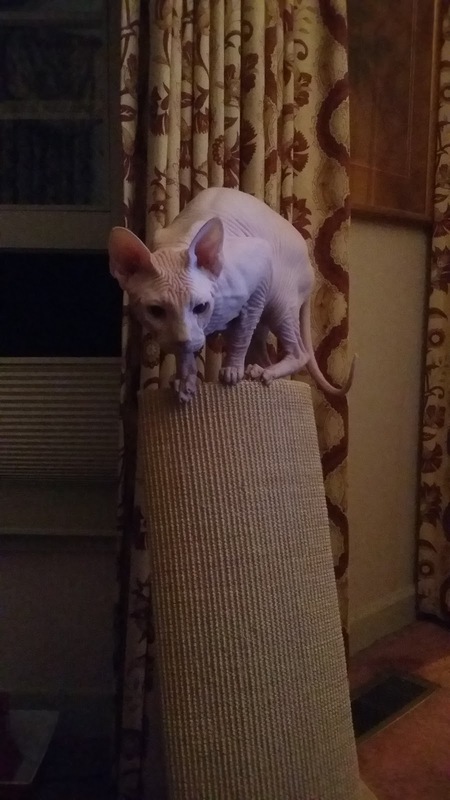 The scratcher in the picture was $100 retail and we got at a discount through our local Pet Supply shop (Thank you Big Bad Woof). Frankly, I would negotiate with your local shop for a deal. If they want your business, they'll cut you a deal. Now let's talk about pretty. Wades quality has always been tops and over time has continued to improve. Pretty is a different issue. No one’s carpeted cat trees are pretty and nothing you do will make carpet stapled to wood pretty, period. Give up on pretty; just do it for the cat. Look at Moshe Moshi, he loves this thing. Who could say no to that face.